House Removals Newcastle – Choose Quicksilver! Moving to a new house can be stressful, so why not hire a removal company to take the stress away from you? Quicksilver Moving & Storage, based in Newcastle, can take care of the entire move for you. If you are looking for a reputable removal company that has years of experience in carrying out removals, we are the company for you! We offer a competitively priced and comprehensive removal service in Newcastle and throughout the North East. Please call us on 0191 2646677 to speak to one of the team. They will be able to answer any questions that you may have regarding our services or a quote. Before doing anything else, you should speak to one of our estimators about your move order to retrieve a quote. This will enable you to go through all the details with one of our team so that they have the right information and vision for your removal. This also helps us so that we don’t turn up to any unexpected circumstances, we’ll know exactly how to approach the move. We use a tailored and individual quotation system as we know from experience that every move is different, so it’s important to take on every move with a unique approach. Once you have agreed on the moving date and price with our team then the preparations begin. Organisation is key when moving to a new house and our team will work with you to ensure the moving day is a success. The team will stay in contact with you to ensure that you know exactly what is going on, right up until the move is finished. We will take care of the entire process for you, so you’ll never have to worry. When the move is complete, you can sit back and relax. If you require residential storage during or after your move then we can also offer this to you at a great price, simply speak to one of the team and they will be able to go through your storage options. At Quicksilver, we offer specialist packing services as we aim to provide all customers with a fully comprehensive move. We understand that most people do not have the time to pack up all their belongings and larger households may have a lot more to pack up before the move. If you do not want a stressful move then we would highly recommend our packing services to you. Our highly experienced packing team will come out to your property at an organised time, ideally on the moving day or just before, to pack up your items. We use high-quality packing materials to ensure that your items are secured in transit and arrive at the new property in excellent condition. We also have a box store in which packing materials can be purchased. 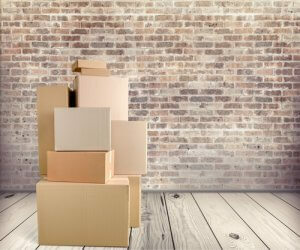 If you are moving with us then the packing materials can be sold at a discounted rate, making your move even cheaper. 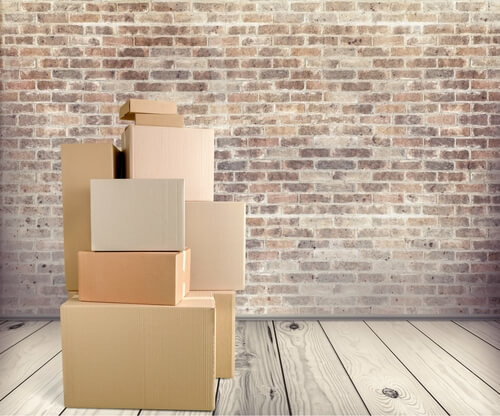 Our box store means that you will no longer have to hunt for old boxes in the attic or borrow from family and friends, you can purchase those right here at Quicksilver. If you are interested in our packing services please mention this when speaking to our estimator about your removals quote as they can incorporate this into the quote. A move usually involves transporting a lot of your personal belongings, so why not consider putting your items into storage? Store with confidence when you choose Quicksilver. Our residential storage services are much more affordable than you think, and we ensure that all items are monitored extensively. Our inventory system is well managed, which provides security to our customers. No matter what you need to store, we can help you. From sports equipment to appliances, we are able to store all types of household items. Storing your items will provide you with more space during the move, and also allow you to take items out of storage whenever you need them. Storage with Quicksilver couldn’t be simpler. Storage is ideal for households that own a lot of seasonal items. If you have items that are only needed in the winter and vice versa, it may be a good idea to put them into storage. This makes sure that your items are kept safe and if you ever need any of them back in the near future, our storage is easily accessible. Our domestic removal service is perfect for all homeowners that are moving to a new house. As the leading removals company in Newcastle, we are here to ensure your move is trouble free and saves you lots of time. We began as a family run business over 30 years ago, and we are now one of the most established removal companies in the area. Based in Ponteland, we service the entirety of the North East including Gateshead, Hexham, Whitley Bay and all surrounding areas. Each of our team is DBS checked, ensuring the safety and security for all of our customers. With extensive training and commitment, all of our staff go through regular reviews to make sure that our high standards are maintained at all times. If you are looking for a qualified removals company with lots of experience, Quicksilver is the company for you. As a premier removals and storage company, we aim to provide each and every customer with a high-quality service. For more information on our House Removals Newcastle service, please give us a call on 0191 2646677 today to speak to one of the team!